Laser therapy operates on the principle similar to acupuncture, but without needles. Here at Calgary Laserworks we use a low level laser (cold laser) instead of needles to target key energy points on the body. The procedures are non-invasive, non-thermal, safe, pain-free, affordable, and have great results! 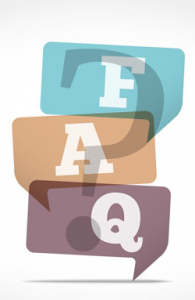 Here are the answers to a few common questions asked by first-time laser clients. How does low level laser therapy feel? During treatment patients always say that they do not feel anything. Low level laser therapy is, in reality, very safe and painless. Low power lasers do not have the effect of warming the skin, but there are few who might perceive a very slight heat during the treatment. Other patients do experience a very light tingling feeling while having the therapy, but these patients usually have a more severe condition. The first appointment takes approximately one hour, however if you have any questions it can take a little more than an hour. How long does each subsequent treatment take? Subsequent treatments depend upon the history and severity of the condition. Treatments can be as short as 5 minutes or as long as 15 to 30 minutes. Usually the treatment is being administered in small or short quantities over time. Most people feel relaxed and calm. The points around the ears, nose, hand and wrist are stimulated, and with stimulation, endorphins are released. Endorphins are the body’s natural feel-good hormones that trigger a positive feeling in the body. Are these results permanent and when will you feel the results? Initial results can be felt hours after each session and you will feel the results for days. With every scheduled visit there is a cumulative effect so a whole new relief will be noticed. Results are permanent for acute conditions where there is lesser damage to tissues or body organs. However, for some serious conditions, there is a possibility that some symptoms may reoccur. In these more severe cases it is suggested that a booster treatment be given twice a year. With respect to smoking, because of the complexities of the psychological side of the addiction, no one can force you to stop smoking. We can however, help you eliminate the withdrawal and physical cravings with the use of the low level laser, allowing you to become a non-smoker in the easiest possible way. We will give you information to help eliminate your emotional desire to smoke and some nutritional guidelines to help you body to detoxify quickly. As long as you want to quit we can make it easy for you. How many treatments should you undergo? Of course, this depends upon the severity of the condition, your age, your general health and the length of time you’ve had the problem. The more serious the condition is, the more treatment will be required. Each client’s situation is unique and will usually require a number of treatments over a period of time. At the initial appointment and assessment, a number of sessions will be recommended. We guarantee that we will provide our services as promised, however, we DO NOT offer a money back guarantee. Give us a call today at 403-301-3730 to discover how laser treatments can help you!